Purdue Space Day 2018 was held on Saturday, October 27th. Continuing strong growth from previous years, Space Day 2018 set new records for both registration and attendance, with over 800 students from around the Midwest and the world taking part in the festivities. The theme was "Blast from the Past," offering participants and volunteers an opportunity to reflect on the amazing accomplishments in space exploration that NASA and its partners have recorded over the years. Our VIP guest, Charlie Walker, shared stories from his time as NASA's first commercial astronaut and encouraged all to learn, explore, and have fun. Purdue Space Day 2017 was held on Saturday, October 21st. After filling all spots in less than 30 minutes, it was the largest Purdue Space Day on record. The year's theme, "A New Space for All Mankind", represents our belief that the future of STEM and space exploration is for everyone, regardless of gender, reace, culture or social status. Along with our VIP guest, astronaut Mark Polansky, we encouraged all in attendance to be curious, ask questions, and make new friends. Purdue Space Day 2016 was held on Saturday, October 22nd. Debuting 7 new activities, it was a banner year for the 21st installment of the program. Our theme, "Eyes Turned Skyward", was inspired by a quote that is attributed to Leonardo DaVinci. Our goal was to inspire each child to look up and aim for the stars. Registration for this event filled up in just 2 hours, a new record! Our VIP, Jerry Ross, gave an inspiring speech that emphasized hard work and never giving up. 2015 celebrated Purdue's 20th anniversary with the second man on the moon: Buzz Aldrin! The theme for the 20th annual Purdue Space day was "The future is go!" representing the limitless potential that lies ahead in space, science and technology. 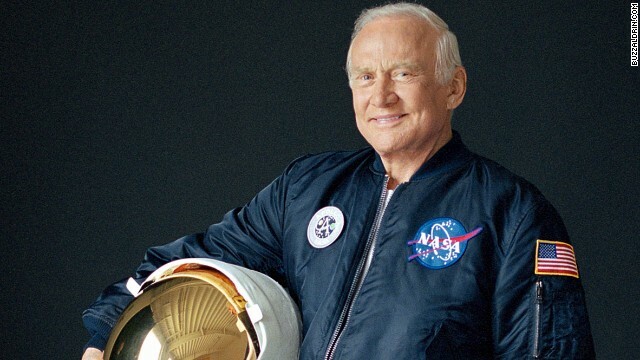 Buzz Aldrin personally led his "Welcome to Mars" activity in order to inspire children to dream of reaching for the red planet and each child received a signed copy of his book. Purdue space day set records with 650 children participants, 280 volunteers making it one of the most successful Purdue Space Days to date. 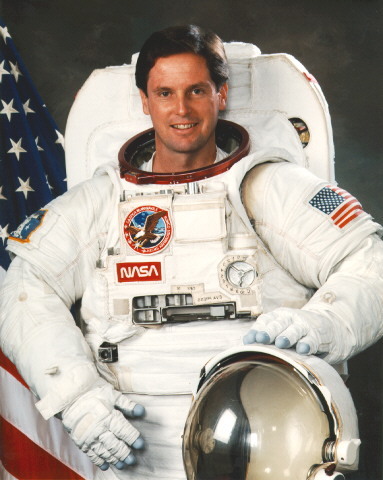 The 19th annual Purdue Space Day took place on October 25, 2014 with astronaut and Purdue alumnus Charlie Walker making his first return trip to serve as VIP since 2007. The year's theme was "Through International Cooperation Comes Great Inspriation" using the International Space Station as an example of how the world achieves more when everyone works together. During Purdue Space Day 2014, we also bid a fond farewell to our longtime Coordinator and Staff Advisor, Ann Broughton who retired after many years of dedicated service. 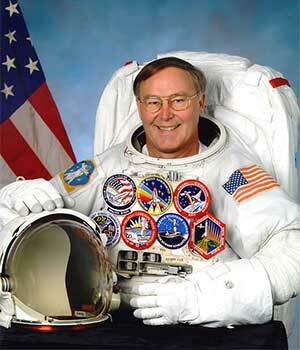 Purdue Space Day celebrated its 18th anniversary on October 26, 2013. Paying tribute to Mars exploration, the year's theme was "In Curiosity Lies Opportunity" hoping that Purdue Space Day could inspire each child to take a giant leap forward to achieve their dreams. The day was shared with Dr. Roy Bridges, a NASA astronaut and Purdue alumnus, who served as our VIP and gave a lecture to all participants during the day. 2012's Purdue Space Day was all about the Moon! We celebrated the 40th anniversary of the last manned mission to the Moon, and tip our astronaut helmets to Neil Armstrong and those 'Small Steps' that have become so big! Purdue University has a great tradition with the Apollo program and we are proud that both the 'First - Neil Armstrong' and the 'Last - Gene Cernan' on the Moon were graduates of Purdue. Each of the groups was named after each of the astronauts on Apollo Lunar Missions 11-17. We are delighted to have three of Purdue's current astronauts, Andrew Feustel, David Wolf, and Scott Tingle as our guest astronauts! In 2011, both the world and Purdue Space Day were "Celebrating 50 Years of Space Flight". Taking place on November 5, 2011, the the 16th annual Purdue Space Day welcomed Gary Payton, Purdue MSAAE 1972, as our VIP. Having traveled more than 1.2 million miles in 48 Earth orbits and logging more than 73 hours in space, Gary Payton brought his life experience and space knowledge to the stage when addressing the over 500 children in attendance. 15 years years after its creation, Purdue Space Day 2010 was held on Saturday, November 7th. Our theme for the year was "As Astra Per Aspera...To the Stars Through Difficulty". Space travel and becoming an astronaut has always been a difficult task but with hard work and determination, anything is possible. 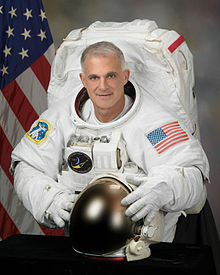 Joining Purdue Space Day for his first time, astronaut David Wolf served as our VIP. 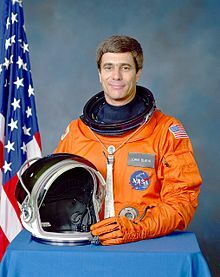 Having just completed his fourth and final space mission less than a year prior, David Wolf shared with our audience his experiences in space including the over 18 hours spent on spacewalks. The 14th annual Purdue Space Day took place on Saturday November 7, 2009 with astronaut Michael McCulley as VIP guest. This year's theme was the celebration of the International Year of Astronomy which is a global effort initiated by the International Astronomical Union and UNESCO to celebrate 400 years since Galileo’s first telescope. This year’s quote was “Look into the Past, Explore the Future.” This year, we had 518 students in grades 3-8 and 172 university and high school students who volunteered to run the event. PSD collaborated with the Brownsburg Challenger Learning Center this year. They kindly loaned PSD the Star Lab which was used on an activity and PSD also collaborated with the DURI program in Discovery Park. The presentation moved to the Elliott Hall of Music which accommodated the increased numbers. This year, we introduced four new activities: Star Dart, Star Lab, High Powered Rockets and the Wind Tunnel. Purdue Space Day 2008 took place on Saturday November 8 with serving astronaut Mark L. Polansky as guest astronaut. The theme for this year's event was "Exploration for a New Generation." For the 2008 event, 426 elementary students took part on the day with 157 Purdue University students running the program who came from 38 majors. PSD is in its 13th year of program execution, with 4,324 grade school students and 1,351 university student volunteers participating in the program since its inception in 1996. For the activities this year, we introduced three new activities, Deep Impact, Apollo 13 and Geodesic Dome. Both the Water Rockets and Solar Rovers were moved from 7-8 grade to 5-6 grade to give the older children a chance to work on the new activities. From this year, Fall Space Day became Purdue Space Day and an independent Student Organization in its own right. 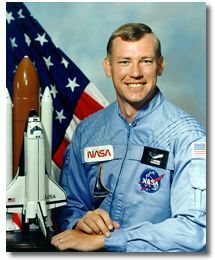 The theme for this year's event was "On the Shoulders of Giants" and our honored guest was astronaut Charles Walker. For the 2007 event, 390 elementary students took part on the day with 139 Purdue University students running the program who came from 36 majors. PSD is in its 12th year of program execution, with 3,898 grade school students and 1,194 university student volunteers participating in the program since its inception in 1996.For the activities this year, we again introduced two new activities Landing Structures and FIRST Robotics and brought back some favorites from previous years. 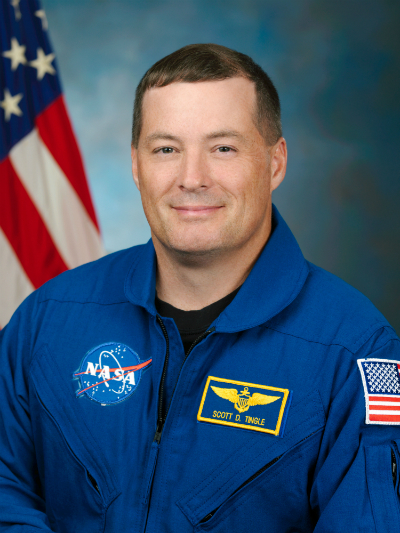 The theme for this year's event was "The Eagle has landed" and our honored guest was astronaut Greg Harbaugh. For the 2006 event, 628 elementary students registered with 503 taking part on the actual day. This is the highest number ever to attend. PSD is in its 11th year of program execution, with 3,508 grade school students and 1,055 university student volunteers participating in the program since its inception in 1996. As we needed to accommodate more students this year, we moved the main presentation to the north Ballroom in the Purdue Memorial Ballroom. For the activities this year, we introduced two new ones and brought back some favorites from previous years. The new ones were the Rotor Motors and Delta Darts and Kites and the older ones brought back were the Satellite launch and the Egg Drop. 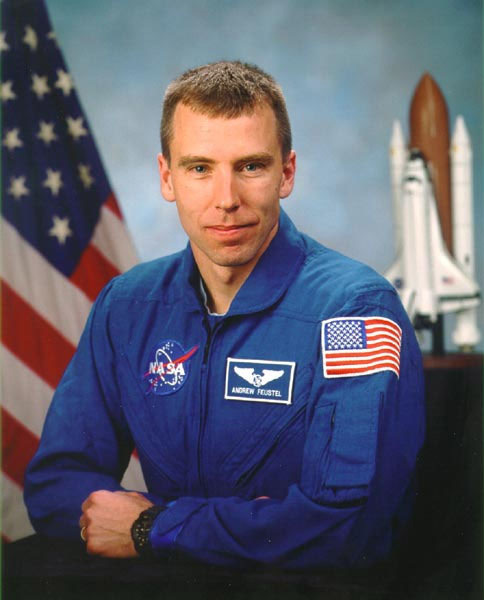 The annual event has grown in size over the years and the 10th annual Fall Space Day took place on Saturday October 22, 2005, with Col. Mark N. Brown as guest VIP astronaut. It drew over 380 elementary and middle school students from the local community and surrounding counties to Purdue, with over 140 Purdue students from 22 majors who ran the day. The twenty one groups were named after Purdue alumnus astronauts and for the first time the main location was moved away from the Class of 1950 Lecture Hall to the Loeb Theatre in the Stewart Center. In addition to some old favorite activities such as water rockets, three new activities were introduced this year. Students in grades 3-4 tried out Zoon Air Cars, grades 5-6 had as a new activity Straw Rockets and students in grades 7-8 had a Solar Car activity to try for the first time. The 9th annual Purdue Fall Space Day took place on Saturday November 6, 2004. 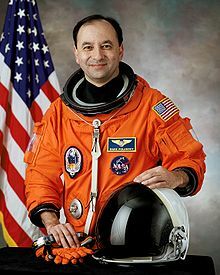 The VIP guest was astronaut Col. Guy S. Gardner, who, along with his wife Linda, was on hand during the day to interact with the students and give them first hand information. This year, the age ranges were split differently and we had three age ranges instead of the previous two; grades 3-4, grades 5-6, and grades 7-8. The theme of this years' event was "Fly Me to the Moon" and we increased the groups to 21, each being named after a famous spacecraft. For the second year, the Purdue Fall Space Day web site took registrations online. From the 355 students who registered for this event, 334 registered online. Information was also posted elementary students, parents and Purdue student volunteers. In addition, the sponsors' page also included links to their home page. The web page also carried all details and information for parents and teachers. For the second year, a video has been made of the entire event; this was then edited and turned into a DVD that can be viewed on a desktop computer or a DVD player. The 8th annual Purdue Fall Space Day took place on Saturday October 25 2003. 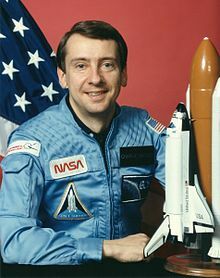 The VIP guest was astronaut Col. John E. Blaha, who was on hand during the day to interact with the students and give them first hand information about what it is like to be an astronaut. This year we increased our numbers and registered 315 students, which is the highest number ever to attend.The theme of this years' event for Celebrating the Centennial of Flight and each of the twenty groups this year was named after a famous American aviator. For the first time this year, the Purdue Fall Space Day web site was able to take registrations online. From the 315 students who registered for this event, 220 registered online. Information was also posted elementary students, parents and Purdue student volunteers. In addition, the sponsors' page also included links to their home page. For the first time in 2003, we had a student video recording the entire event; this was then edited and turned into a DVD that can be viewed on a desktop computer or a DVD player. The 7th annual Fall Space Day dawned sunny and clear on Saturday November 2, 2002. VIP astronaut Col. John H. Casper and his wife Beth Casper, very generously gave their time and enthusiasm to a record 270 students from the surrounding counties. 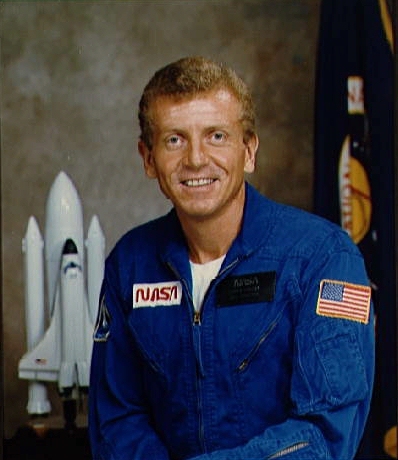 Col. Casper shared a video on his "Toys in Space" mission and he and his wife Beth were enthusiastic in joining in with the activities that were on offer. A record 85 Purdue University student volunteers signed to help the grade school students make the most out of the day. This year's theme was Christa McAuliffe's quote of December 7, 1985 "It's everybody's business to know about space". The 6th annual Fall Space Day was held on Saturday November 10, 2001 on a sunny but chilly day. VIP astronaut Col Loren J. Shriver was kind enough to spend the entire weekend on campus and took part in all the activities. 250 students in grades 3-8 were registered for the day and came from the surrounding area. 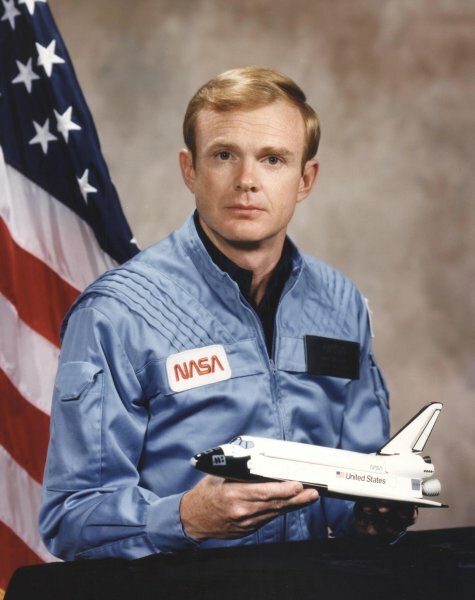 Purdue President Martin C. Jischke also took part for the first time and introduced Col. Shriver who shared the story of the "Space Station Construction and Space Shuttle Assembly" with the audience. This year's theme was "Mission to Mars" with all the activities relating to this theme. The students in grades 3-5 had the opportunity to try the following activities: Mars Rockets; Edible Mars Habitat; Rover Construction Lab using Lego's and K'Nex. The students in grades 6-8 tried: Satellite launch, Decent Stage and Mars Rover Ops. Four new activities were introduced this year which were fun to try out. A great day was had by all. 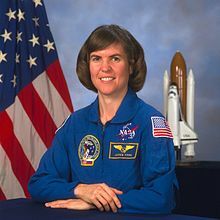 Astronaut Dr. Janice Voss was the guest VIP for the 5th annual Fall Space Day held on the Purdue University Campus on Saturday November 11, 2000. 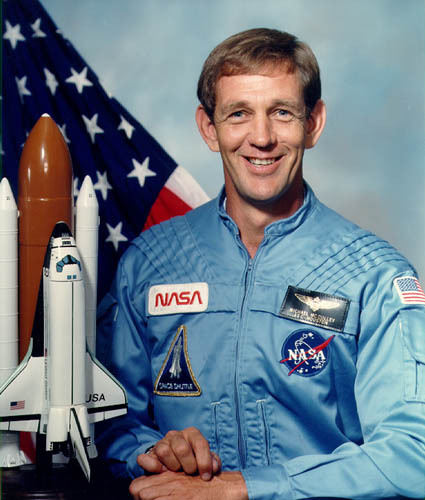 Dr. Voss started the day with a presentation of "Highlights of STS-99" This mission took place in February 2000 and gathered the most comprehensive 3-D map of the Earth's surface to date. 220 students in grades 3-8 registered for this year's event. The theme for this year was Shoot for the Moon – If you miss you will still be among the stars; This year the students had the opportunity to try the following activities: grades 3-5 Film Canister Rockets; Water Rockets; Edible Space Station; grades 6-8 tried out; Dart Trajectory; Egg Drop; Marble Wing. FSD 2000 was a great success, thank you to Janice Voss for her time and willingness to share her experiences with both younger and older students. 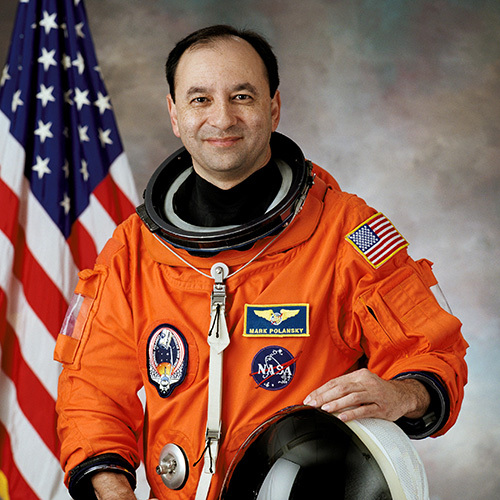 November 13, 1999 was the date for the 4th annual Fall Space Day with Col. 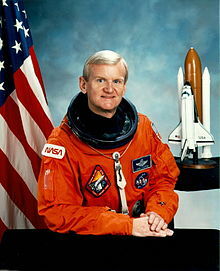 Guy Gardner as the VIP guest astronaut who taught us to "Learn lots, enjoy life, and reach for your dreams". Keeping his advice in mind, our theme was "Today's Kids are Tomorrow's Martians". November 14th, 1998 marked the day for Fall Space Day 1998. 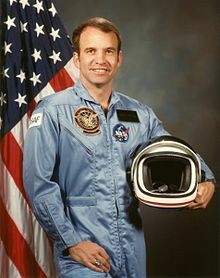 Astronaut and Purdue Alumnus, Col. Mark N. Brown, spoke to the students this year. A new feature was added for the students this year. "Mission Control" made its way into FSD's schedule. Here, the students were given positions in Mission Control and they read scripts for a short mission on the shuttle. Students were also crew members on the shuttle. During their mission, the students encountered a problem on the shuttle where they had to work together as a team to solve the problem. FSD '98 turned out to be a great success! On November 1st, 1997 the three organizations of SEDS; AIAA and PESC renewed their commitments to educational outreach by sponsoring the second annual Fall Space Day. This time around, it was decided to concentrate efforts on elementary and middle school students, but at the same time increased our enrollment to 200 students. This year Purdue alumnus and astronaut Greg Harbaugh talked about his experiences in space, which include repairing the Hubble Space Telescope and docking with Mir. The first Fall Space Day took place on November 9th, 1996. 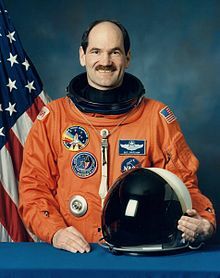 The goal of this program was to share the excitement of space exploration with the next generation of space explorers. In this inaugural year approximately 150 elementary and high school students participated as well as about 40 volunteers from the Purdue community. 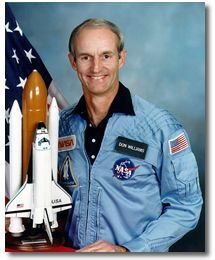 FSD was also very fortunate to have two Purdue alumnus astronauts Gary Payton and Don Williams who participated in this program.